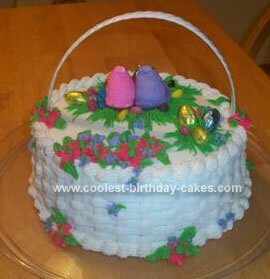 What better way to celebrate Easter with friends and family than an easter basket cake full of treats? 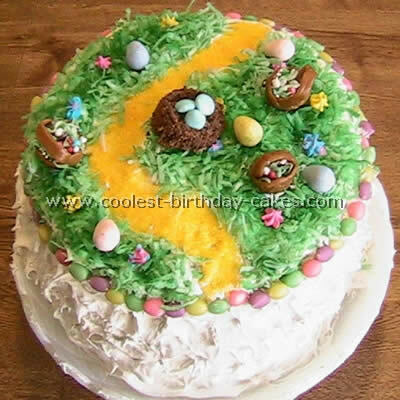 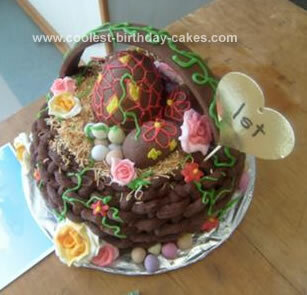 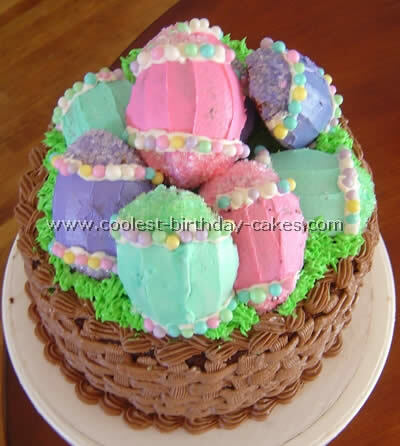 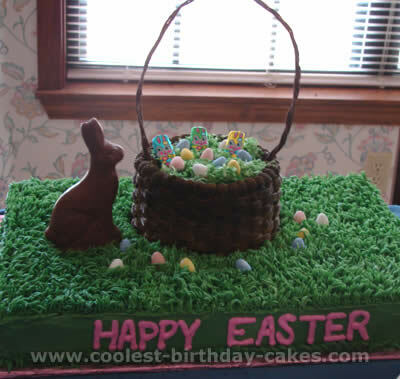 In this section you’ll find cool Easter basket cake designs that’ll help inspire your own version this year. 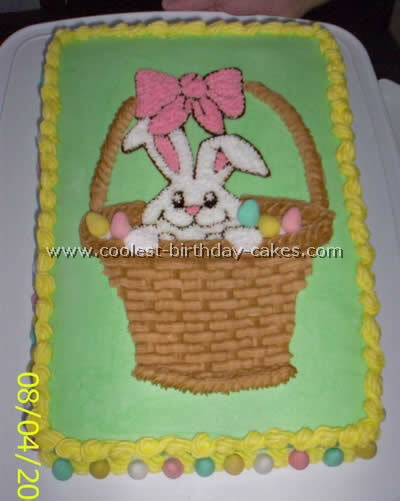 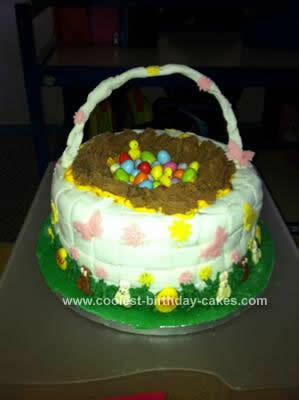 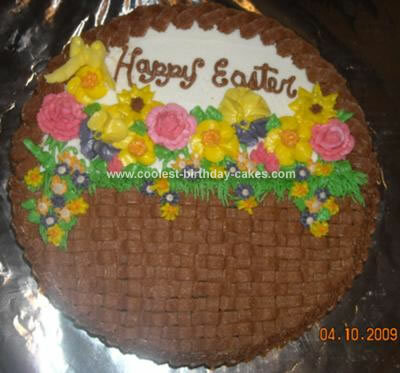 Many decorators are prone to using a buttercream frosting to create a basket weave look. 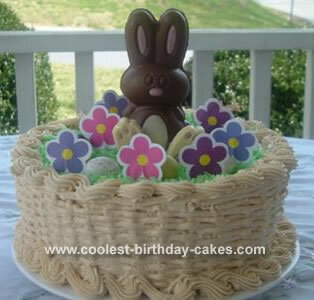 This is highly effective for a delicious (who doesn’t love buttercream?) 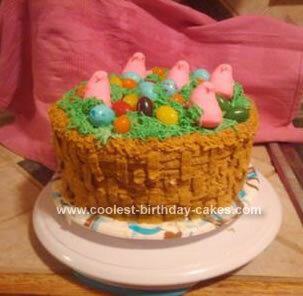 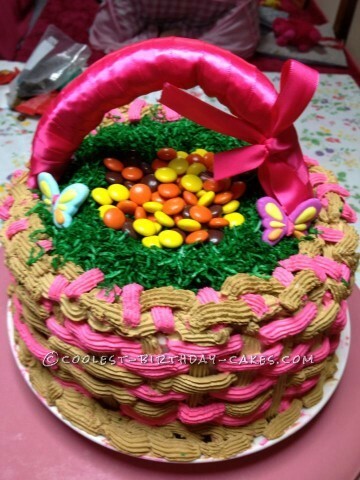 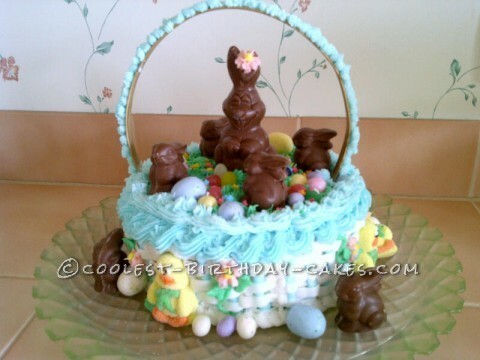 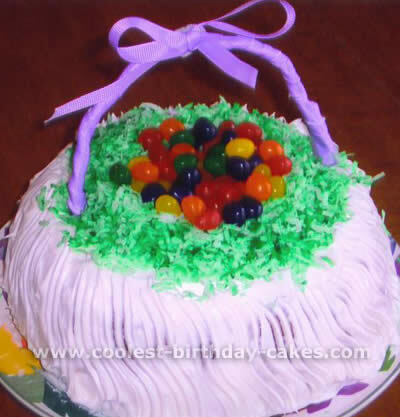 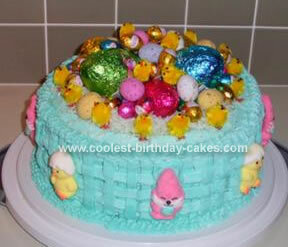 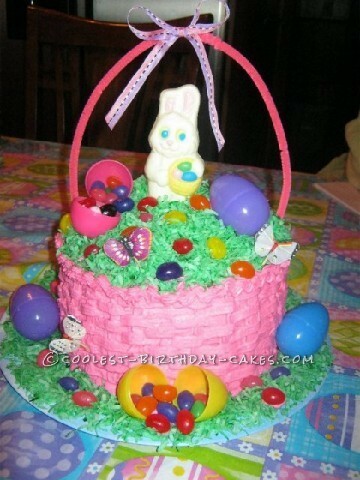 Easter basket cake. 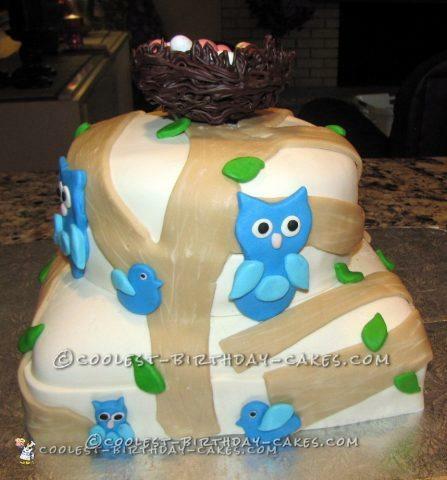 One word of caution: practice, practice, practice! 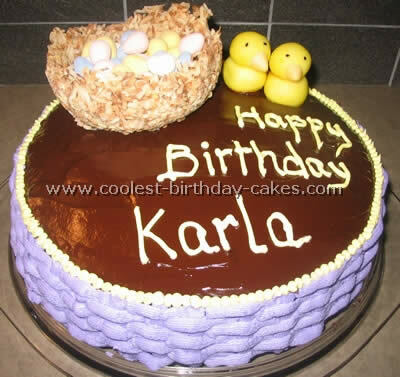 Excellent piping skills look effortless but require many elements to come together beautifully. 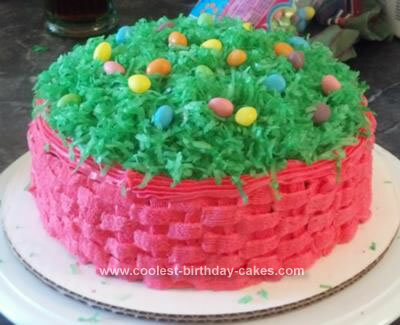 The more you practice this simple basket-weave, the cooler it will look. 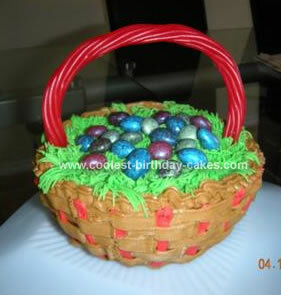 For the top half of the basket, you’ll find some cool examples of how decorators make handles that defy gravity! 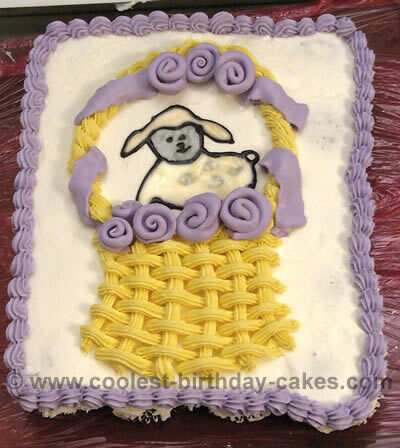 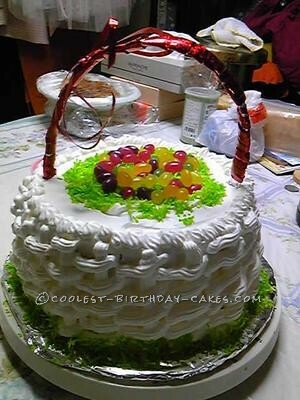 Many of the homemade cakes here truly look like you could lift them up like a regular basket. 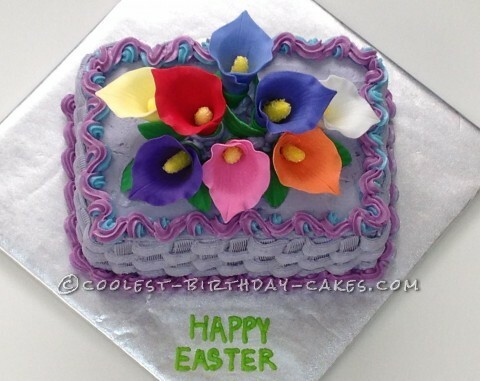 The standard Easter pastel colors are on display and will inspire you to choose your own personal palette.